Janet Cheryl Wilson Thornton, 70, a beloved wife, mother, grandmother, and friend passed away peacefully on January 3, 2015 in Mesa, Arizona. 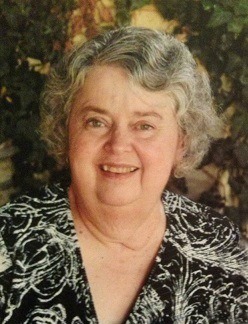 Janet leaves a legacy of consistent service, personal courage and strength to her family and fellow church members. She was married for 44 years to her husband Peter, who passed away in August. Janet is the mother of five children, Kyle, Amy, Neal, Brent, and Lisa, and is the grandmother of twenty-one grandchildren. A viewing will be held Tuesday, January 13, 2015 at Bunker’s Garden Chapel from 6-8 PM. Funeral services will be held on Wednesday, January 14, 2015 at 10 AM at the LDS Chapel located at 848 N. Westwood, Mesa, AZ. In lieu of flowers the family asks that donations be directed toward either the LDS Perpetual Education Fund, or the Mesa United Way. Pete and Janet were both wonderful people…our lives have blessed by knowing and associating with them. Our love and sympathy to all the Thornton family. I just heard of your mother’s passing. She was such a great example. I loved visiting her many times when I took Rachel to piano and needed someplace to visit for a little while. I was also not aware that your father had passed last August. Both were dear friends to us when we first moved to Arizona. May you be comforted at this time knowing that you are an eternal family.